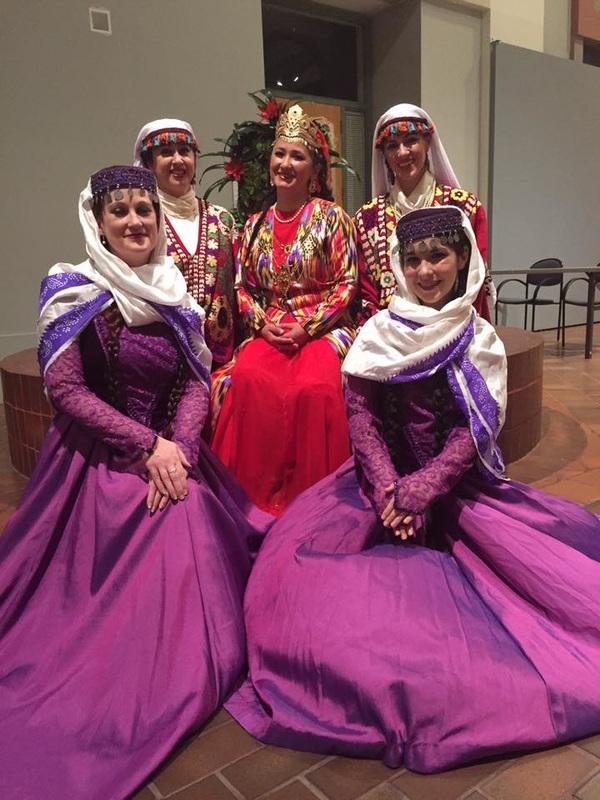 Smtihsonian Presents "Along Central Asia's Silk Road: Culture, Traditions, History, and Legends"
Silk Road Dance Company shared the stage with wonderful Kyrgyz dancers at this event to share Central Asian culture and support children's orphanages in Kyrgyzstan. 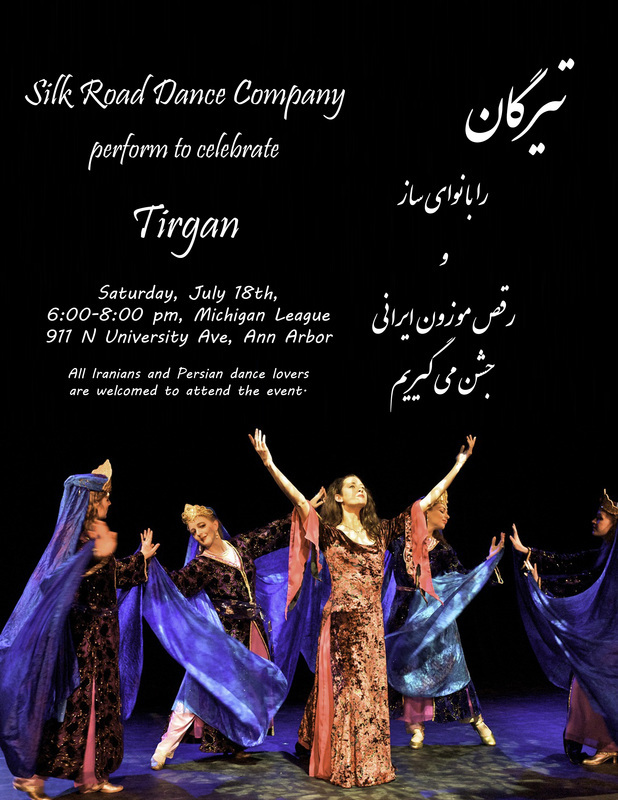 Silk Road Dance Company participated in the first ever Tirgan Festival held in the Metro DC area. 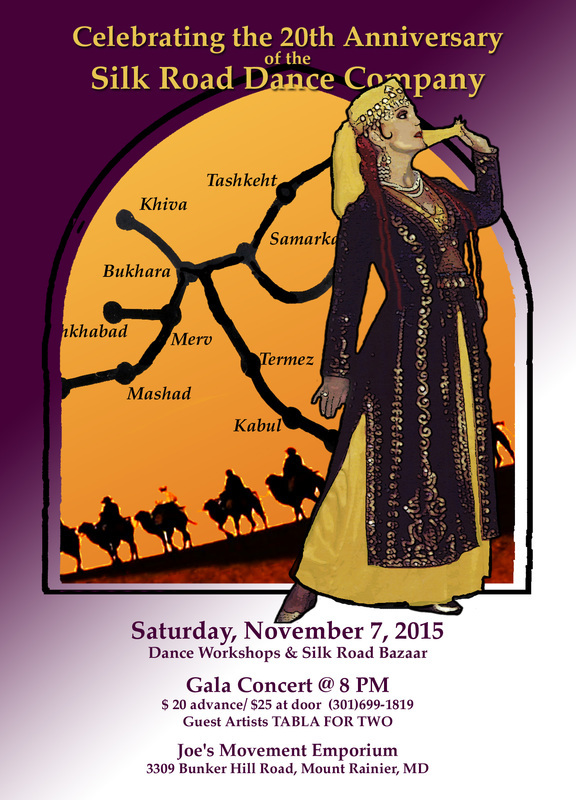 The event featured the premiere of the new concert work - JOURNEY THROUGH THE LANDS OF THE SHAHNAMEH. 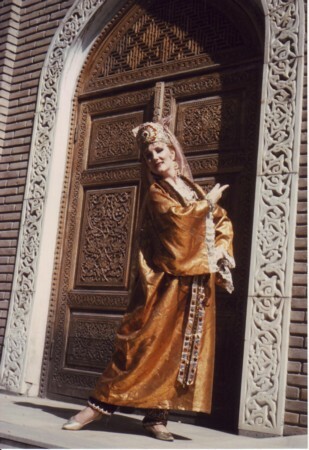 Through dance and spoken narrative, audiences traveled in time to the epic tales depicted in this classic of Persian literature. 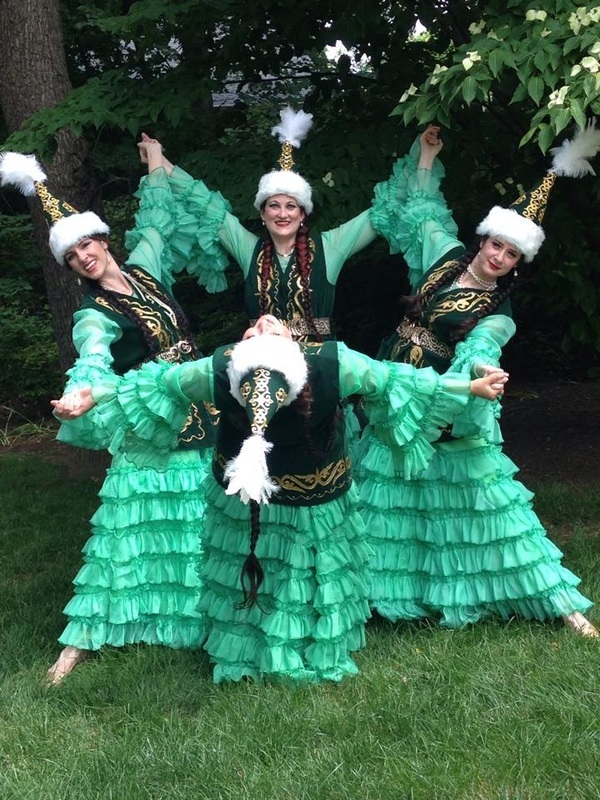 Dances of Central Asia and the Caucasus entertained audiences at the annual Celebration of Textiles, held at the new, GWU location of the Textile Museum. 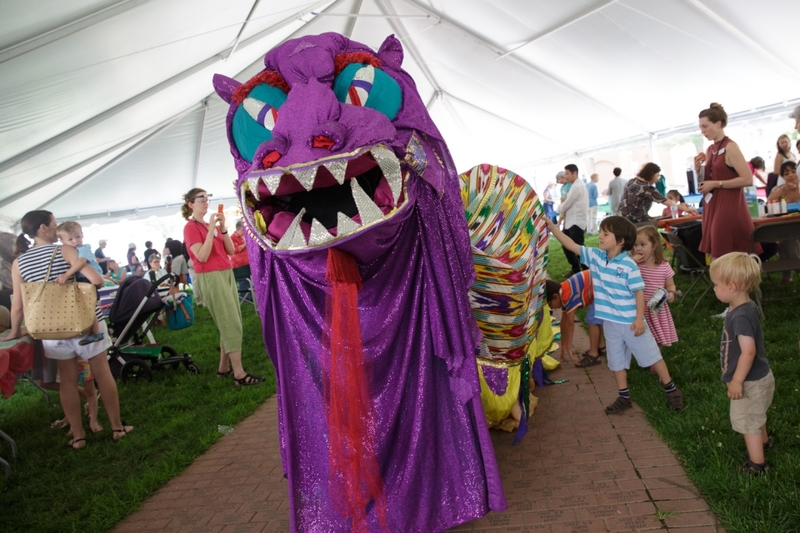 Silk Road Dance Company Uzbek ikat dragon also made an appearance, making a big impression on the younger crowd. 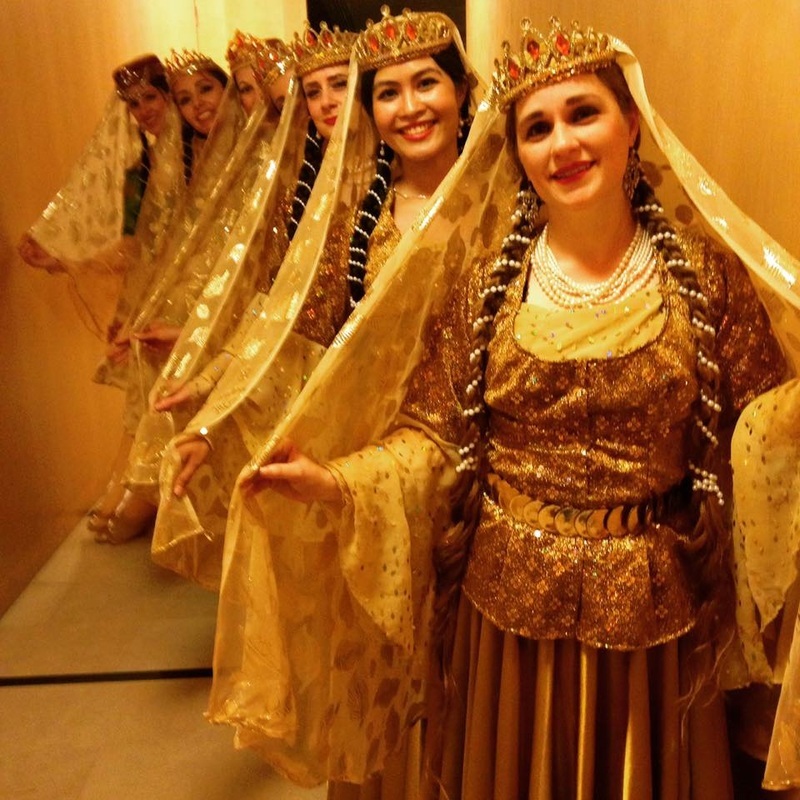 Silk Road Dance shared dances of Azerbaijan, drawing a connection between Swedish explorer Sven Hedin and his 1885 visit to Baku, Azerbaijan. 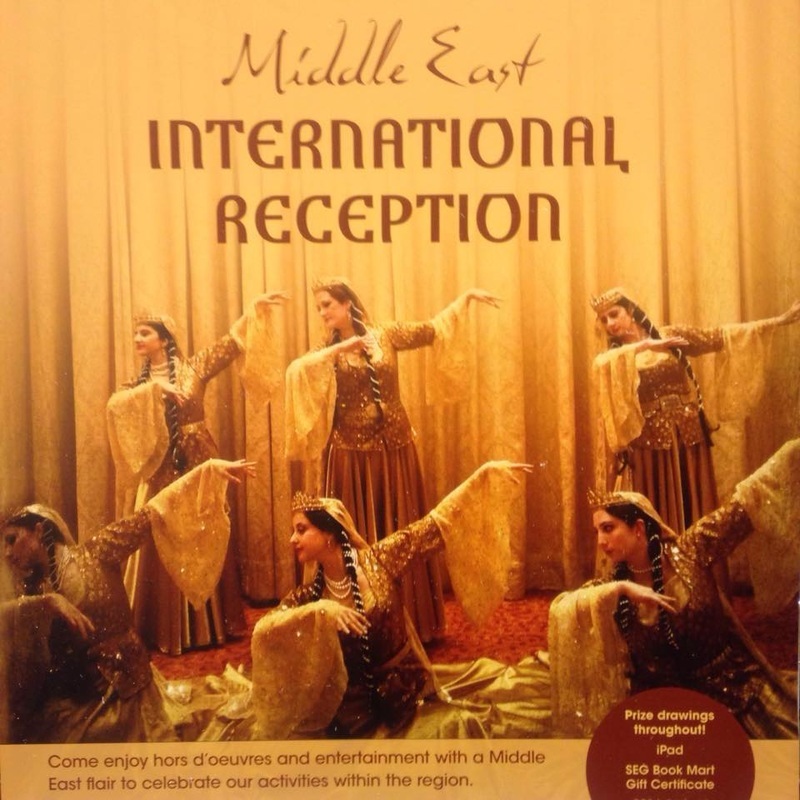 This gala event was attended by international guests, including a delegation from Azerbaijan. 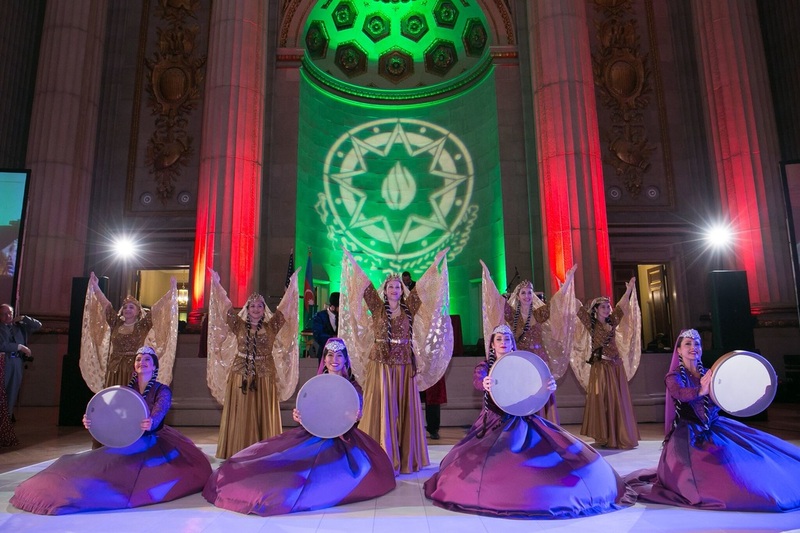 Silk Road Dance Company premiered a new Azerbaijani choreography by Dr. Laurel Victoria Gray, especially commissioned for this gala event for 950 guests! 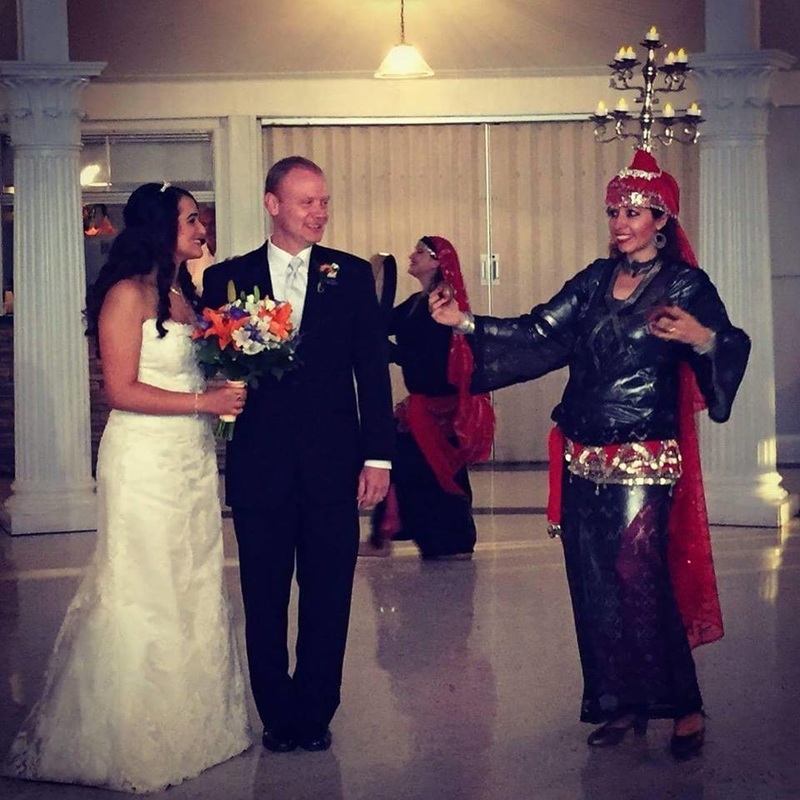 Silk Road Dance Company shared the joy and excitement of a traditional Egyptian wedding with a colorful and dynamic wedding procession and dance. 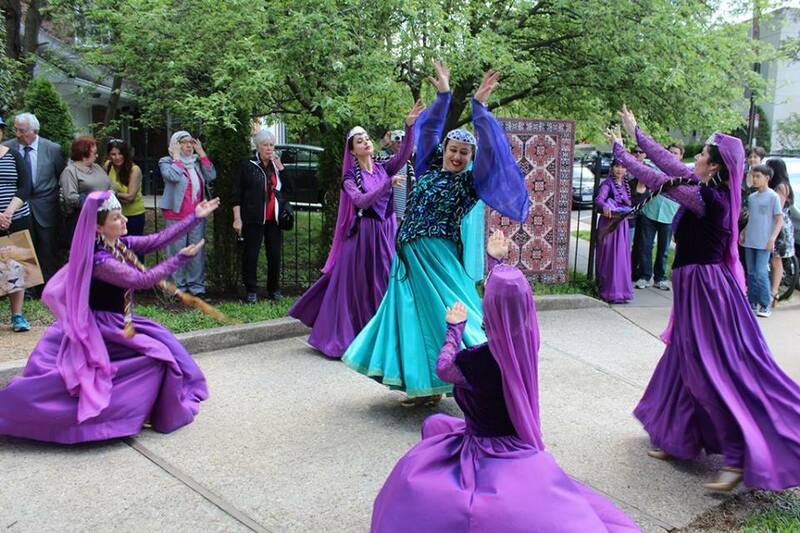 Guests enjoyed an afternoon traditional Azerbaijani dances presented by Silk Road Dance Company as well as other cultural activities. 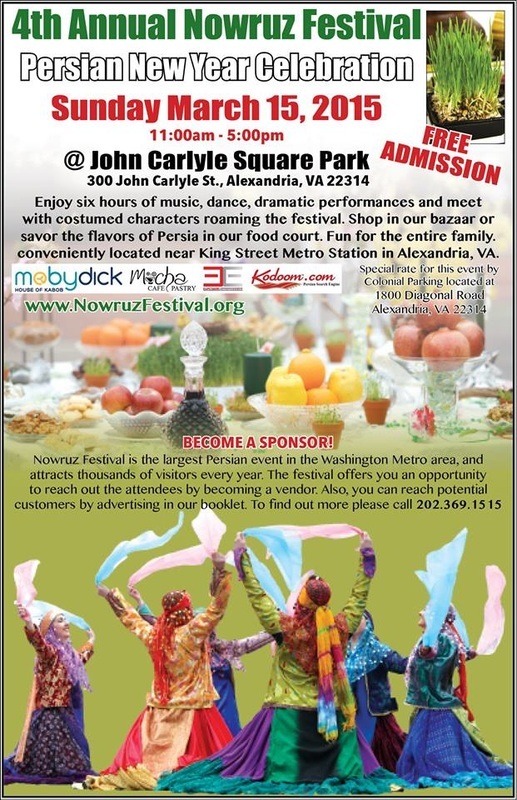 Silk Road Dance Company presented a suite of dances from Arab countries at the first National Arab-Americna Cultural Festival in Washington, DC, on April 25, 2015. 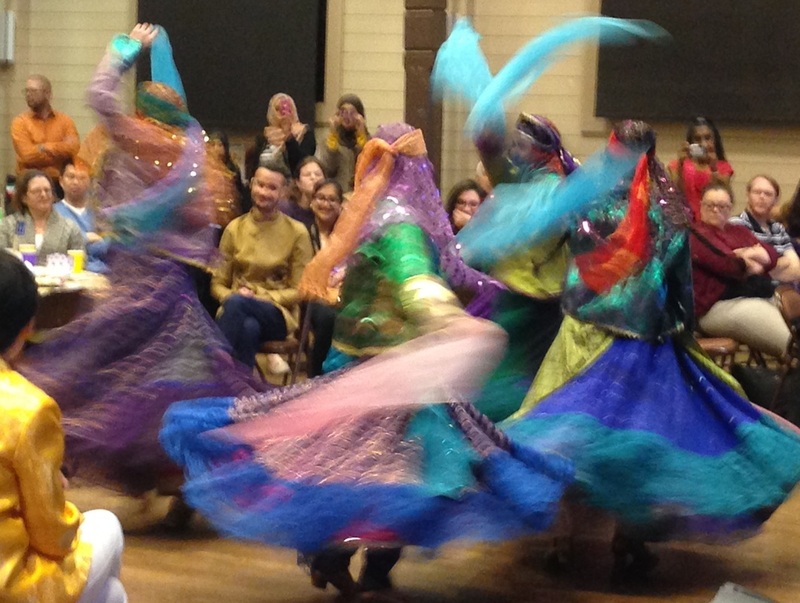 Silk Road Dance Company shared traditional and contemporary Persian dance with guests at the very first Nowruz celebration held at Gallaudet University. 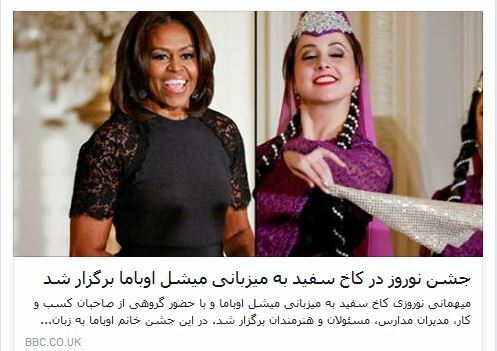 with guests from Iran. 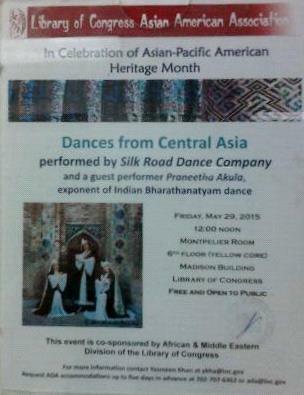 of the Silk Road Dance Company. This half-hour lecture, followed by informal discussion, is part of a series led by GW faculty and other experts. A collaboration with the Arts Initiative Committee of GW. commissioned choreography. 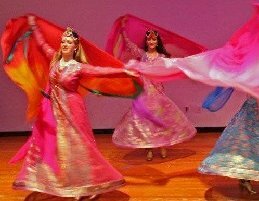 A dozen exquisitely costumed dancers brought the joy and promise of Spring to the stage in an opening number choreographed by Dr. Laurel Victoria Gray. 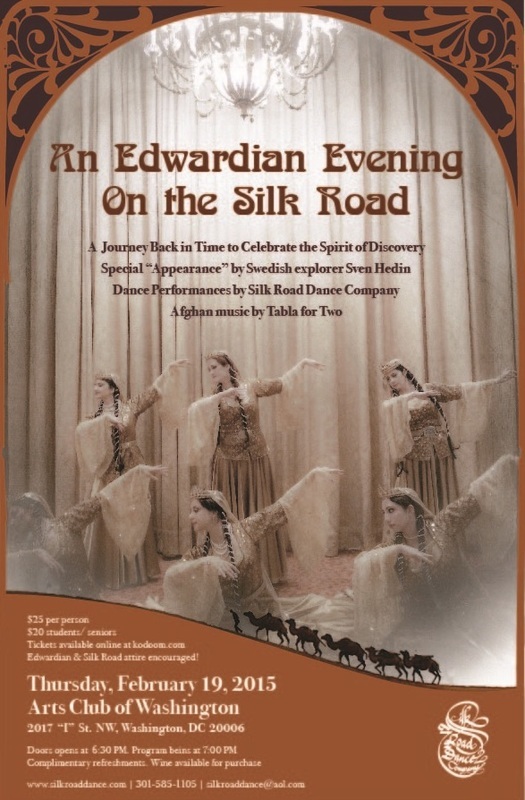 Persian dance performance and other international offerings at a family-friendly event.